Carl Christman is the trade show mind reader. 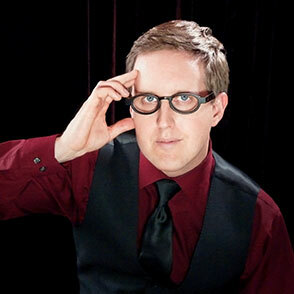 His high-energy mentalism and magic are the perfect solution for drawing clients to your booth and keeping them there. No matter what kind of trade show, Carl can tailor his presentation to your organization and help build your brand. Carl is available to perform all over Southern California, including Los Angeles, Orange County, San Diego, Ventura, Santa Barbara, Riverside and San Bernardino Counties. He is also available in the San Francisco Bay area, Las Vegas and throughout the United States by request.